BLACK BLK 3148 Beast – Color shade out of Montana BLACK’s BLK tones. Luminescent pink containing fluorescent pigments that make this awesome pink shiny. Great coverage. Highest Quality NC-Formula lacquer made in Germany. High-Pressure for fast application and wider output. Table below show detailed information on lightfastness and digital values to display the color. Montana BLACK color 3148 Beast – Extraordinary luminous color shade. Next to color BLK 3150 Freak as darker tone. 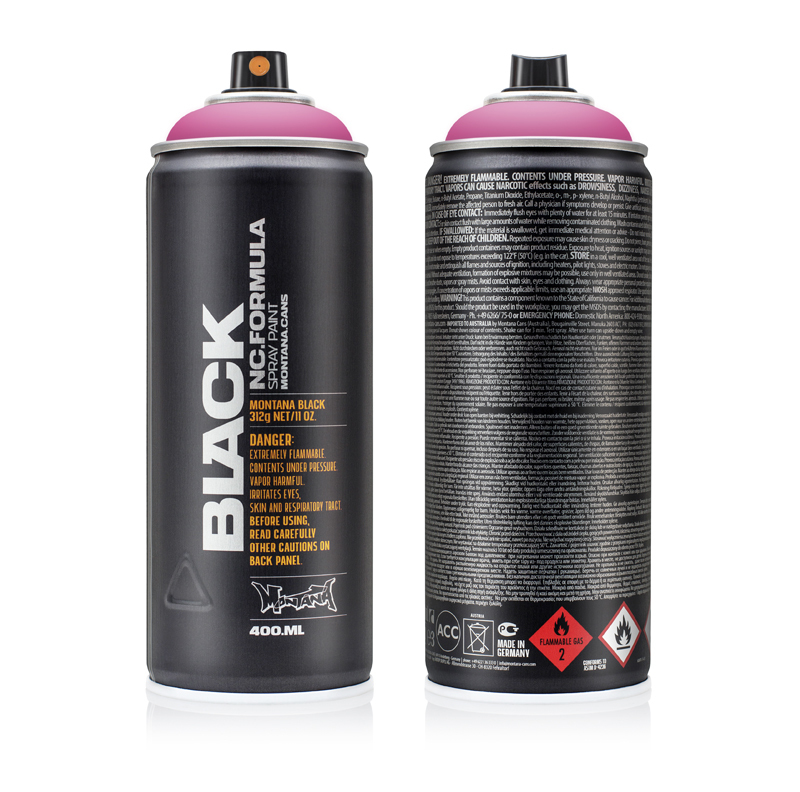 Montana BLACK spray paint is famous for its superior quality. High-covering and quick-drying NC-Formula lacquer. Equipped with the Fatcap Black Orange.